Switching your business utility bills could save you money. The commercial energy market is highly competitive, and businesses within the UK can save money by switching energy supplier. Here are some statistics regarding switching and the b2b energy market . 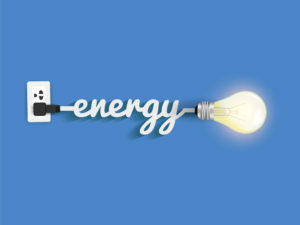 Watt Utilities are on hand to help you during each stage of the switching process. Once we receive your information, we will take care of the rest. 24% of businesses switch energy supplier to lower their bills; 15% switch to get lower unit rates, and 10% switch to lower their standing charges. However 64% of businesses do not plan to switch energy supplier within the next 12 months. 19% of businesses do not switch as they deem it too much hassle. Businesses are worried about price rises; in the last two years, electricity prices have risen over 70%, therefore, it is highly important that businesses find the right tariff for their needs and consider longer term contracts, such as three year options, to lock in their rates over a longer period of time. Watt Utilities have competitive, cost effective rates for options such as this. Where do businesses do their research? 36% use an energy broker like Watt Utilities. This number is on the rise! A total of 43% of all companies believe there is no competition in the marketplace, however, these businesses are missing out on total potential savings of over £1.8 billion by not switching to cheaper tariffs.